This adorable (but fierce!) 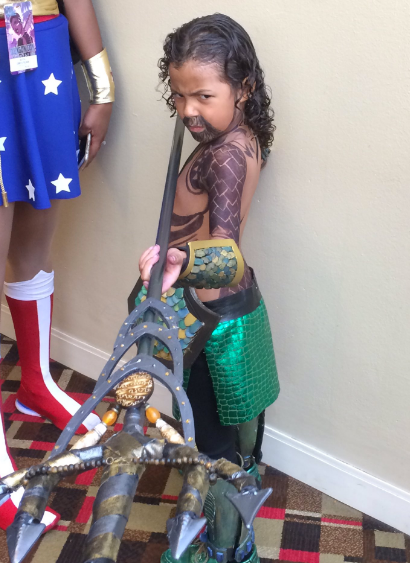 Li'l Aquaman was spotted at this year's Dragon*Con! I'M SO SAD I MISSED HIM!!!! !